Just put in a re-labeled 1960’s-era Mullard ECC83 into my Aracom VRX22 this afternoon. 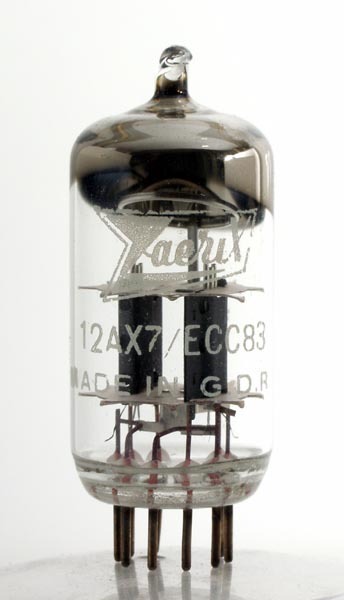 I had a JJ 12AX7 in there, and make no bones about it; that’s a great pre-amp tube. But the difference in tone between the two is immense. Where my JJ had a great tone, one thing that I noticed was that the highs tended to be rather harsh when the tube was overdrive, and I found myself turning my Tone knob left of center – a lot – to bleed off some of the highs. As a tube amp aficionado, I’ve gone through lots of pre-amp tubes, and almost invariably, I’ve gravitated towards NOS tubes to get the tone I like. Some people I’ve spoken to say it’s all hype but, at least to me, it’s not. I suppose for some types of tubes, there’s not much of a difference. For instance, I almost invariably use JJ’s for power tubes because they just sound great to me. They’re well-made, and run pretty hot, and they break up nicely. But with respect to pre-amp tubes, I’ve found a marked difference between NOS and new tubes. I love Mullard and JAN Phillips tubes for pre-amp tubes. They’re just so smooth sounding, smoother than all the new make tubes I’ve played. Plus, they were made during a time when most electronic devices were run with tubes, so the build expertise, equipment and materials for making tubes was abundant. According to my friend Jeff Aragaki of Aracom Amps, the alloys used in NOS tubes are not as readily available nowadays, and that could account for the difference in tone. Not sure if this is true, but it certainly makes sense. The only drawback is the price. 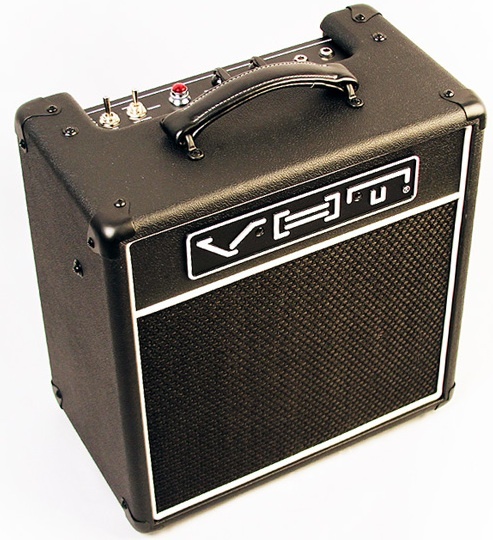 That Mullard sells for $129 retail, and that is by no means inexpensive. But I look at buying NOS tubes very much like buying a great pair of shoes. For instance, I spend almost $200 a pair for my everyday shoes. These are absolutely comfortable, and not only that they last a long time because they’re constructed so well. In fact, it takes me about 4-5 years to really wear them out. This in contrast to lower priced shoes that I’ve worn out within a few months. After a long period of time, I’ll spend more on the cheap shoes. A better case is my father. His shoes cost at least $500. But they last almost 20 years! He just gets them resoled every few years until the shoe repair guy says that it’s not worth it. NOS tubes are similar. I’ve had the same NOS tubes in my Hot Rod Deluxe for almost five years, and they still sound great! I play that amp a lot. On the other hand, the new Tung-Sol tubes I put in another amp lasted all of two months before they started to lose their character, with one becoming microphonic. Granted, they’re fairly inexpensive tubes and they sound great, but if I have to shell out $25 every couple of months, that starts to add up. NOS tubes, especially the mil-spec tubes that I prefer were made for military usage, which means they had to be well-built and durable. That’s a huge advantage NOS tubes have over newer tubes. Jeff also shared a story with me today about a friend of his who used to be stationed on an aircraft carrier. He was telling Jeff that when the ship replaced electronic components, they’d dump boxes of tubes – good ones, mind you – over the side of the ship. So the ocean has NOS tubes littering its bottom. In any case, please do not just take me at my word! 🙂 This is simply my perception based upon my experience. In the end, as I am often apt to mention, you’re judge of what sounds pleasing to you. So only buy what makes sense to you!